It may not seem it at the moment but winter is only just around the corner. The cold winter months can wreak havoc with your home’s plumbing system, if you aren’t prepared for the temperature drop. 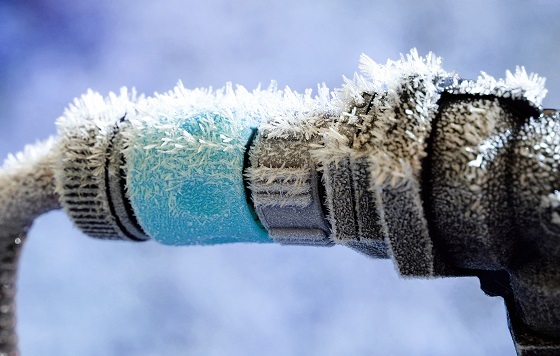 At best, frozen water in pipes can be inconvenient but at worst can prove to be very destructive and costly. Therefore, it is wise to take some steps now before the cold sets in, to start preparing your home plumbing for winter, to make sure your pipes and appliances will work smoothly all winter long. Have Your Plumbing Inspected for Leaks – Even the smallest water leak can turn into a big problem when temperatures drop, as the water inside the pipe freezes and swells and can cause it to burst. Have a professional check for leaks, especially in hard to reach places like crawlspaces or lofts. A small fix now can prevent a lot of damage and work later. Insulate Pipes – A very easy preventive measure you can take is to make sure that any exposed pipes are well insulated. Exposed pipes tend to be found in lofts, crawl spaces, and garages. If you can see the pipe, then it needs to be wrapped with insulation foam – this is inexpensive and easy to use. It can also save you on heating costs as well as keeping your pipes protected. Outside Hoses & Appliances – Outdoor taps, sprinkler systems, appliances and hoses can cause major problems if they freeze. It is a good idea to drain these of water and turn them off. You can protect garden hoses by storing them in the garage or shed during winter. Locate Your Water Main – It is very important to know where your water main tap is in case of an emergency. Should you be faced with a burst pipe due to freezing you will need to be able to shut off the water quickly to keep possible damage to a minimum. Take Extra Measures when Very Cold – it is wise to take extra precautions to avoid frozen, damaged and burst pipes such as keeping your home warm, open cupboard doors to let warm air circulate and close garage doors to keep out the colder air. As a long-established firm of plumbers in Loughborough, we have built up an excellent reputation and our team is made up of friendly and reliable well trained and experienced plumbers. And we are only a call way to helping you protect your home for winter. Contacting us couldn’t be easier – either call on 01509 502 402 or complete our secure online contact form. We look forward to hearing from you.